Project Managers don’t like surprises. If a Project Manager doesn’t have a solid understanding of who the stakeholders are in their projects, then this usually invites surprises later in the project. These surprises can often lead to major issues such as ongoing delays due to changing requirements, increased costs associated with unplanned resource requirements and possible legal or regulatory issues. It can also lead to a loss of confidence in the Project Managers ability to deliver the project on time, on budget, within budget and to the desired quality. The PMBok Guide defines a stakeholder as “individuals, groups or organisations who may affect, be affected by, or perceive themselves to be affected by a decision, activity, or outcome of a project”. In plain English, stakeholders are the people that have a perceived ‘stake’ in the project. Identifying Stakeholders is an important part of any initial project planning activity however, as stakeholders are likely to change as the project progresses, ‘Identifying Stakeholders’ needs to be a planned activity which is performed throughout a project, for example, as part of managing a stage boundary. Many stakeholders in a project will be obvious, such as the sponsor, customer and supplier however we want to be sure that all stakeholders in a project are identified. There are many ways to identify stakeholders. The most important consideration is that the Identifying Stakeholders activity is performed and undertaken in planned, disciplined, consultative and logical way to help ensure no stakeholders are omitted. Have we identified all the stakeholders from any initial project documentation such as the Project Charter or Project Brief? Who is affected, positively or negatively, by this project? Who is directly and indirectly involved in the project and its outcomes? Has the organisation managed a similar project previously, and if so, are we able to review the documentation or talk to people involved in that project? Have we spoken with all the relevant subject matter experts to understand their perspectives and listen to their advice and recommendations? What organisational processes, policies or assets will we be required to use for this project, for example, what templates will be needed, what are the relevant record-keeping policies we need to follow, what support will we need from service providers such as ICT or WH&S? Do we understand the organisational and workplace culture and how this may impact the project? Who are the external parties that that may be impacted, for example, suppliers, sub-contractors, government or regulatory bodies, community groups? Will we need expertise in areas such as quality assurance, media or communications and change management? One of the easiest ways to identify stakeholders is to simply talk to the stakeholders you’ve already identified. Not only will this likely reveal new stakeholders, but it also assists with building positive relationships and helps ensure support, or ‘buy-in’ from the stakeholders for the projects activities and outcomes. The following is a list of typical project stakeholders. The Project Manager, Sponsor, Project Board and Project Team. Portfolio Management Office, Centre of Excellence. 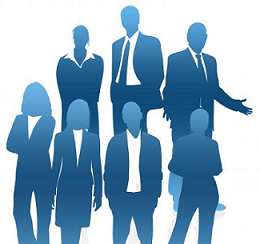 Functional Managers, Senior Management, Resource and Program Managers. Employees, Users, Support Staff, Unions, Shareholders. Community or Special Interest Groups, Advocates and Activists. The Media, Marketing and Public Relations Representatives. Government, Regulators, Policy Makers, Police. The information gathered from the ‘Identifying Stakeholders’ process needs to be accurately captured in an organised manner and is commonly documented in a ‘Stakeholder Register’. This document should be regularly reviewed and updated throughout the project.